Join us on this epic 15 day, fully comprehensive guided tour of South Africa. The tour includes some of the best locations, adventure activities and scenery in South Africa!!! Experience our rainbow nation like a local would. The tour is a mixture of jammed packed activities from scuba diving, hiking, wildlife safari, whale watching, sea kayaking and boat cruises combined with chilled out sightseeing and cultural tours along the way. No better way to experience the soul, scenery and diverse culture of this fantastic country. Our journey starts in Johannesburg and ends in the beautiful Mother City of Cape Town. The tour covers over 3000km in distance and includes a journey through 5 of the 9 Provinces in South Africa. Which locations do we visit? Cape Town, Hermanus and Stellenbosch in the Western Cape. What activities are included in the tour? 3 day hiking experience in the Drakensberg Mountains. 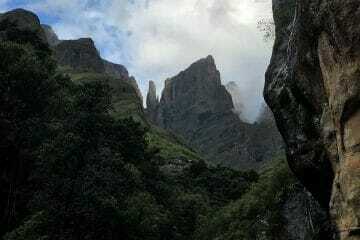 The hike is situated in the Cathedral Peak area and covers about 26km over the 3 days. 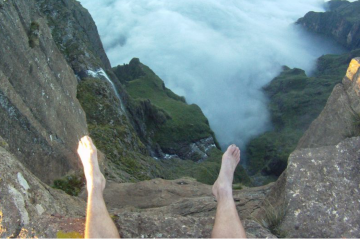 This is an authentic South African Hiking experience. 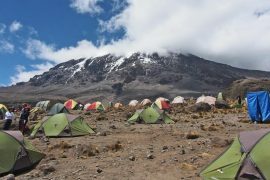 We camp in the mountains making use of caves or tents. A truly incredible hiking experience. 1 day in the Golden Gate National Park which includes a night at the quaint town of Clarens. We spend a few hours hiking among the incredible sandstone formations that has made this park famous among South Africans. We spend the night in the arty town of Clarens where we enjoy good country food and wine while we take in the vibe and soul of this small Free State town. 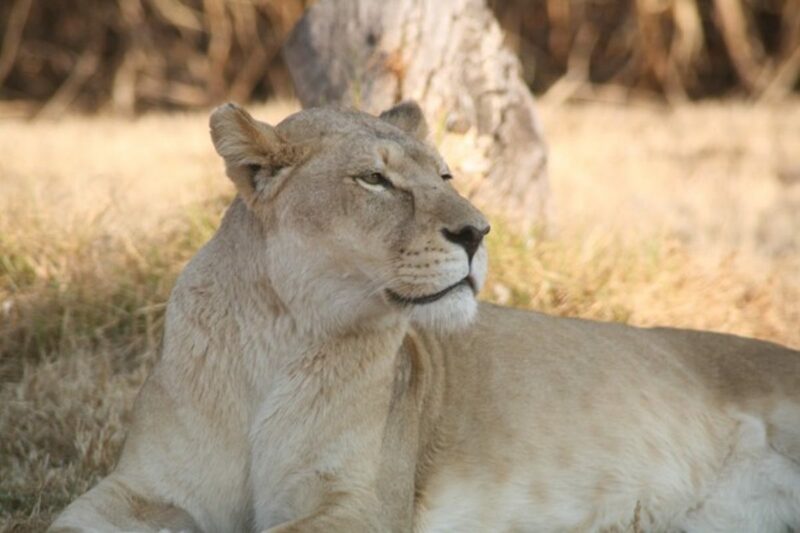 3 day safari in the world famous Kruger National Park. Need we say more? 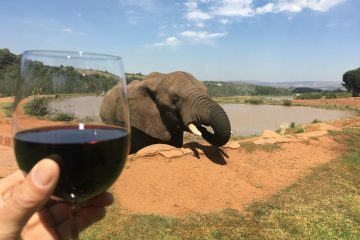 A vacation in South Africa is not complete without a proper safari. We have included over 15 hours of wild life viewing with our ranger in the reserve. The Kruger is home to an abundance of wild animals that include the Big 5 ( lion, elephant, Buffalo, Rhino and Leopard) as well as wildebeest, antelope, hippo, warthog, zebra, giraffe and a wild ping pong ball. And of course, the highlight of day is a roaring fire under the African stars with an ice cold beer. 2 day SCUBA diving adventure in Sodwana- A sub tropical paradise that is a haven to divers the world round. Sodwana is South Africa’s SCUBA diving capitol. We have included 4 incredible dives on the unspoiled tropical reefs that are home to an abundance of marine life including turtles, dolphins and whale sharks. The late afternoons include a ‘sundowner’ stroll on some of the best beaches in South Africa. 2 day tour of St. Lucia situated in the Isimangaliso Wetlands. Enjoy boat cruises into the estuary that’s home to hundreds of hippo, crocodile and Fish Eagles. An eco-tourists dream!! 2 day whale watching tour in Hermanus. The tour includes some incredible sea and land based tours. We have also included a beach hike, snorkeling with small shark species and a sea kayak with the whales. 3 day Cape Town adventure. In this time we will cover a lot of the major tourist attractions from Cape Point, the Penguins at Boulders, Table Mountain, the wine farms of Stellenbosch and Franschoek as well as a comprehensive Cape Town city and Peninsula Tour. We start of this epic 15 day tour of South Africa in Johannesburg. The tour starts on a Wednesday. What you need to know about each activity? Before deciding on this tour, please familiarise yourself with the various activities and what they are all about. See below. You would need to have a moderate fitness level as you will be cover 26km over 3 days. The elevation gain is over 2200m. There are no paths in the Drakensberg. So a lot of single track hiking. The last 150m of the hike is pretty steep and exposed. We do set up safety ropes and a harness in case hikers feel the need for them. Nothing too hectic in hindsight. You would be required to hike with a backpack which would contain your clothing and sleeping bag. You would need the neccetay hiking equipment to survive in the mountains which includes a backpack, sleeping bag, hiking shoes, clothing and waterproof jacket. There are no toilets are showers on the hike. The Drakensberg is very remote. W set up camp in tents and caves. It s back to basics on this hiking adventure. If it rains we still continue with the hike. The only concern would be the last 150m of ascent to the summit. If we deem it too wet and slippery when we get to that point we may have to abort the last 150m. We have backpacks, sleeping bags, walking poles, gaiters and rain ponchos to hire. The diving depths vary from 12m to 24m. The dive sites are accessed through the surf and waves on a semi-inflatable boat. ( us South Africans like to call them ‘rubber ducks’). There is no shore access. Once at the dive sight, we kit-up on the boat and perform a backward roll of the boat into the sea. We have wetsuits, cylinders, masks and fins available to hire. 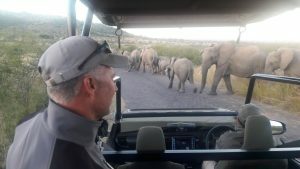 The game drives are done in an open air game vehicle. Sea Kayaking is a sea based activity that involves paddling in open water. We kayak for about 1.5 hours. Fitness and experience is not necessary. The guide will accompany you on the tour and ensure a safe passage through the ocean. 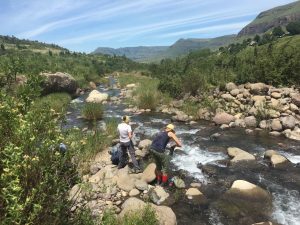 3 day/2 night hiking experience in the Drakensberg Mountains which includes park fees, guide fees, breakfast and dinner on the mountain, tents, cooking and eating utensils. All return transfers to the Drakensberg. 4 hour hike and tour of the Golden Gate National Park. Transfers to Clarens and Golden Gate. Flight from Durban to Cape Town. 2 hour snorkelling tour in the Old Harbour. Includes a presentation at the Shark Conservancy in Hermanus. We wake up at 6:30am and take the 2 hour hike back down to the start of the hike. We then take the 2 hour drive through to the Golden Gate National Park. We will take a 2 hour hike in the sandstone formations before we check into the hotel at about 4pm in Clarens. You will have the rest of the day to explore the town of Clarens. We wake up at 7am, have breakfast and enjoy a 6km hike in the Golden Gate Mountains-An easy hike today. We aim to be back Clarens again by 12pm and on the road back to Johannesburg by 1:30 pm after lunch the drive back takes 4 hours. We will drop you at you’re a guest house in Johannesburg by 5:30pm. We make use of a guest house on a Golfing Estate just outside of Johannesburg. Included: Breakfast, lunch, dinner, accommodation, gate fees, permits, 3 hour late afternoon safari. Full day Safari in Kruger. Drive to Sodwana. Takes about 4 hours. Beach tour and drive scheduled today. 2 dives scheduled for today. Finished diving by 1pm. Rest of the afternoon free time. Drive to Durban, The drive takes about 2.5 hours. There is a 10H30 flight to Cape Town. So we leave St. Lucia at 6:30am.Flight from Durban to Cape Town. Flight arrives at 12H40. City tour from 2pm finishing in Table Mountain (sunset). Drive to Hermanus, whale watching. 2 hour sea based tour followed by a 1.5 hour land based tour. Accommodation in Hermanus. We include a 1.5 hour sea kayak with the whales and a 3 hour beach hike. 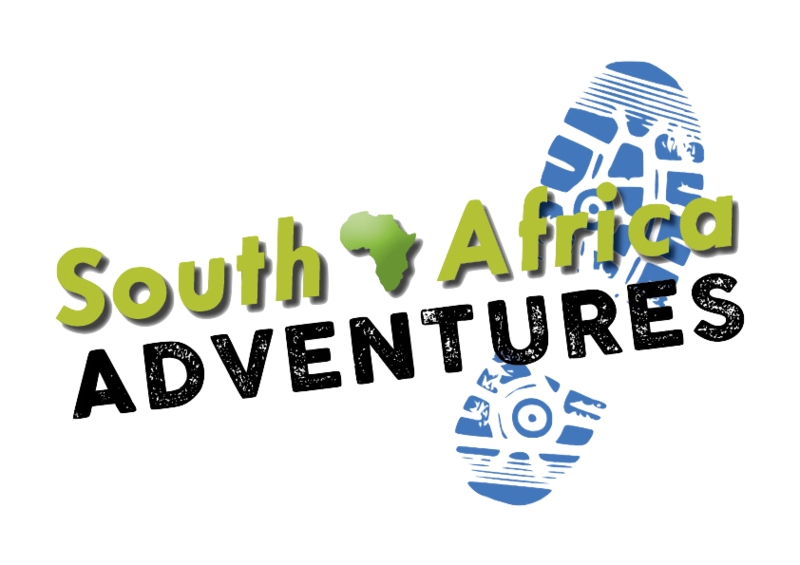 Included: Breakfast, accommodation in Hermanus, gate fees, permits, 1.5 hour land based tour, sea kayaking. 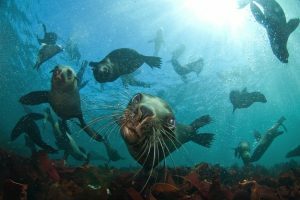 Included: Breakfast, accommodation, All Cape of good hope entrance fees, Penguins entrance fees, Permits and other entrance fees, lunch. Full day wine farm tour in Stellenbosch and Franschoek. Accommodation in Stellenbosch. Includes breakfast, lunch, all wine farm entrance fees. We transfer you back to Cape Town International Airport.